Product prices and availability are accurate as of 2019-04-22 04:51:29 UTC and are subject to change. Any price and availability information displayed on http://www.amazon.com/ at the time of purchase will apply to the purchase of this product. 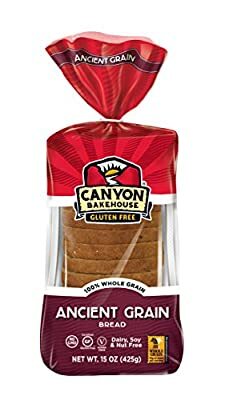 Packed with healthy ancient grains such as quinoa, millet, teff and sorghum, our NEW gluten-free Ancient Grain bread is perfect for sandwiches. Made with 100% whole grains, non-GMO and free from gluten, dairy, nuts and soy.